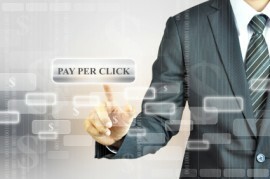 Node Studios | How Does Google Pay Per Click Work? Any time you search Google for a term (called a “keyword phrase”), Google returns a list of results. You will see a standard list aligned on the left side of the screen, called your organic results, and then you will see featured results both on the right and top sides of your screen. These featured results are pay per click ads. Marketers pay to have these ads strategically placed on search engine return pages so that it is more likely web surfers will click on them. Additionally, pay per click ads may appear in banners along the top of relevant websites you land on. When you create your ads, you choose keywords and/or keyword phrases that you feel people will use to search for things related to your business. The keywords you choose will determine when your ad is displayed (your ad will only display when that particular search term is used in the query bar). You do not pay for your ad to be displayed; rather, you only pay for each instance in which your ad is clicked on. The amount you pay for each click is determined by how many other advertisers are competing for display space using the same keywords you choose. The more in demand the keywords, the more you will pay per click. Google Adwords is by far the most popular pay per click provder, and Google makes it very easy for you to get an ad up and running in a matter of minutes. Do your keyword research using the free Google Adwords Keyword Tool, and then access Adwords through your Google home page (yes, you must have a Google account before running an Adwords ad). From there, simply follow the instructions to create your ad, choose your target demographic, and set your budget. Which Is Best For Your Practice, Facebook or Google?